This article is the fifth in a series on industrial water treatment focusing on inorganic contaminants. While regulatory limits are being established (see Part 1), the process of identifying a cost-effective treatment process should be undertaken (see Part 2). Potential water treatment processes for inorganic contaminants can be grouped into three categories: physical (see Part 3), chemical (see Part 4), and biological. This article will describe the biological treatment technologies that may be considered. In an attached-growth system, bacteria are attached to a media surface. Media can range from plastic to activated carbon to rock, with media diameters ranging from microns to centimeters. 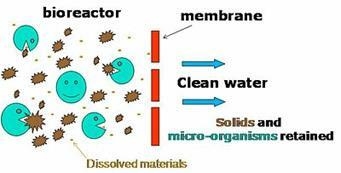 The attached bacteria (a biofilm) provide a very robust process in that it is very resilient to changes in flow, pH, and contaminant concentration. Attached-growth systems are the best choice for treating high or variable concentrations. 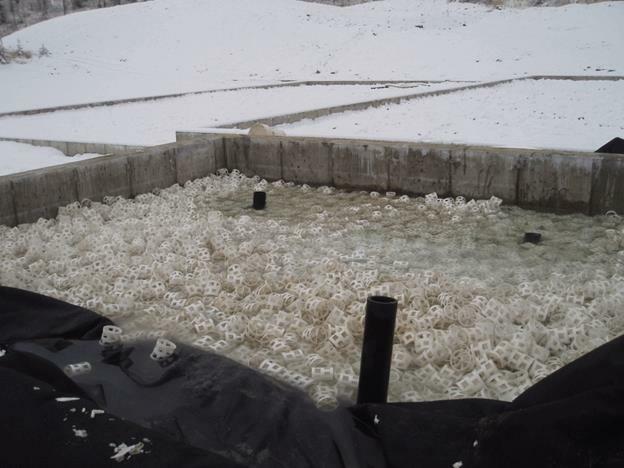 An attached-growth system using plastic media (3” diameter) was installed at the closed Key Mine to treat nitrate and sulfate (Figures 1, 2, and 3) at a design flow rate of 50 gpm. 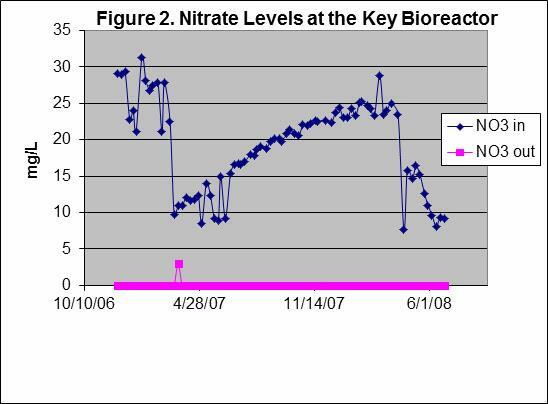 Nitrate-N was removed to non-detect levels, while sulfate concentrations were reduced to as low as 35 mg/L. Another example of attached-growth biological treatment is the ABMet process originally developed by Applied Biosciences of Salt Lake City, UT (now part of GE Water), which uses biological sulfate reduction to precipitate arsenic and heavy metals. Nitrate, selenium, and mercury may also be removed in the process. An organic nutrient is continuously added to feed the bacteria. Biological systems for arsenic removal require a relatively long residence time, such as four to eight hours. This system requires little maintenance, with the nutrient comprising most of the operating cost. ABMet has been installed at several locations in North America and Europe, treating flows up to 2 MGD. This biological process has been successful with both high-TDS (35,000 mg/L total dissolved solids) and low-temperature (4oC) waters. 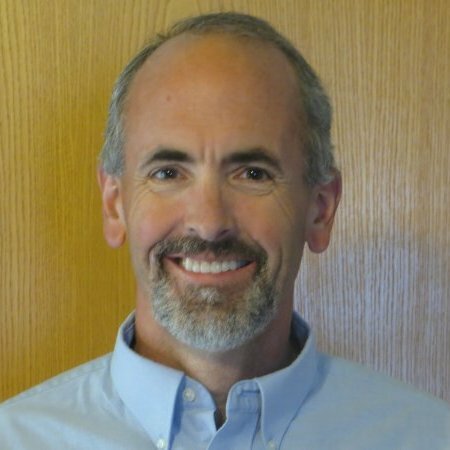 Frontier Water Systems has modified the ABMet process for high-rate treatment of arsenic, nitrate, selenium, and metals from mining and power operations. Frontier has developed its BX bioreactors, a modularized system with relatively small footprint, to treat flows of 100, 250, or 500 gpm. Multiple treatment trains can provide redundancy and the ability to treat varying flows. The most common BCRs for treating MIW operate anaerobically and are also called sulfate-reducing bioreactors (SBRs). 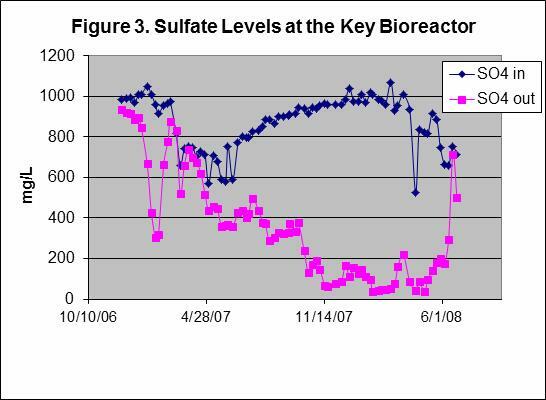 Microbial sulfate reduction produces sulfide and bicarbonate within the reactor, which precipitates metals such as iron, cadmium, copper, nickel, lead, and zinc in MIW as metal sulfides at pH values above 5. Suspended-growth systems are commonly used for municipal wastewater treatment but can also be used for industrial wastewater treatment. Activated sludge is an example of suspended-growth biological treatment. Suspended growth is often used for removal of nutrients (nitrogen and phosphorus). When properly designed, these systems can be used for both nitrification (ammonia removal) and denitrification (nitrate removal). Nitrification is an aerobic process while denitrification is anaerobic. Suspended growth is best used for relatively low contaminant concentrations. In a suspended-growth system such as activated sludge processes (also aerated lagoons and aerobic digestors), wastewater surrounds the free-floating microorganisms, gathering into biological flocs. The settled flocs containing bacteria can be recycled for further treatment. Suspended-growth systems typically operate poorly when encountering highly variable waste streams. Suspended-growth systems also require more energy, more equipment maintenance and are more complex to operate because they involve more equipment than attached-growth systems. However, attached-growth systems typically require more land, may have odor issues associated with media clogging, and may be unable to treat high wastewater flows. Consequently, urban wastewater facilities often opt for suspended-growth processes, while attached-growth processes are common in small- to medium-sized operations. Membrane bioreactors (MBRs) combine suspended growth biological treatment with a membrane process such as microfiltration (MF) or ultrafiltration (UF). The membrane takes the place of a clarifier or multimedia filter following suspended growth treatment. Membrane bioreactors, which are now widely used for municipal and industrial wastewater treatment with plant sizes up to 80,000 population-equivalent, are used to treat high concentrations in a small footprint. MBR processes can treat domestic wastewater to effluent quality sufficient for discharge to surface water or coastal or brackish waterways, or for urban irrigation. Other advantages of MBRs over conventional processes include a small footprint, easy retrofit, and upgrade of old wastewater treatment plants. MBRs can be operated at higher mixed liquor suspended solids (MLSS) concentrations compared to suspended-growth systems, which reduces the reactor volume to achieve the same loading rate. MBRs can be used to reduce the footprint of an activated sludge sewage treatment system by removing liquid from the mixed liquor. This leaves a concentrated waste product that is then treated using activated sludge. MBRs come in two configurations: 1) internal/submerged, where the membranes are immersed in and integral to the biological reactor, and 2) external/sidestream, where membranes are a separate unit process requiring an intermediate pumping step. Typical hydraulic retention times (HRT) are between three and 10 hours. Hollow fiber and flat sheet membranes are typically used for MBR applications. Nutrient removal is one of the main concerns in modern wastewater treatment, especially in areas that are sensitive to eutrophication. The most widely applied technology for nitrogen removal from industrial or municipal wastewater is nitrification/denitrification. For phosphorus removal, enhanced biological phosphorus removal (EBPR) and chemical precipitation are the most common technologies. Some characteristics of MBR technology make EBPR in combination with post-denitrification an attractive alternative that achieves very low nutrient effluent concentrations. For more information, contact Mark Reinsel at http://apexengineering.us/.